We put up our Christmas tree yesterday and I'm so excited to share it and all of it's little details with you today! It's tradition in our house to put up the Christmas tree on the 8th of December and it's always something I really, really look forward to. My dad and I got to work assembling it yesterday afternoon so it would be ready for when my mum & brother came home in the evening and let me tell you, it was so lovely seeing them gasp when they first saw it! 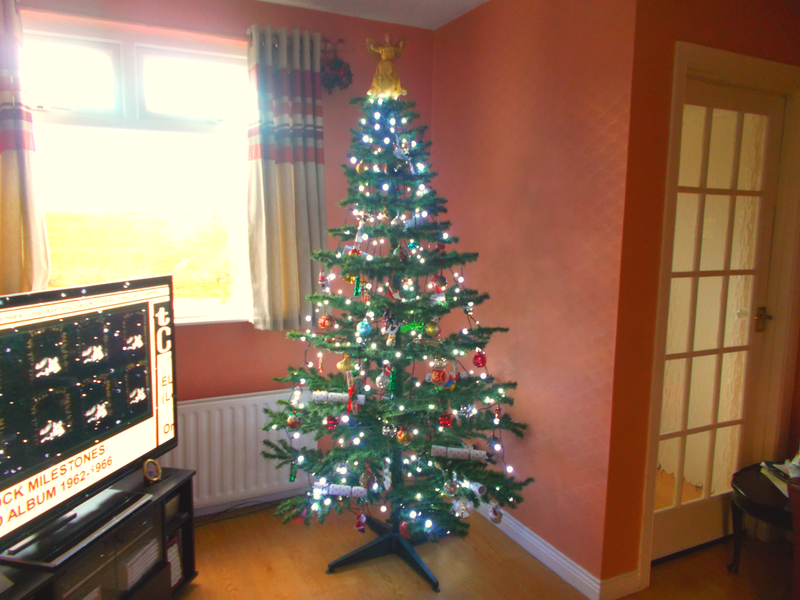 We've been using this fake tree for as long as I can remember, although we did try out a real one a few years back. I don't really have a preference either way but I do think it's nice to get the same one out that you grew up with every year, y'know? Seeing the same familiar decorations reminds me of that magical Christmassy feeling I had when I was little and it lets it live on. We usually add to it each year and last weekend we picked up some new baubles; three glittery Christmas puddings & three glittery cupcakes which I think are adorable! After the lights were on, my dad left me in charge of the decorations which is a job I LOVE doing. I know some people might cringe at how our tree doesn't have a set colour scheme or a symmetrical layout but the fact it's so unique is what makes me love it so much. I did have a method though! 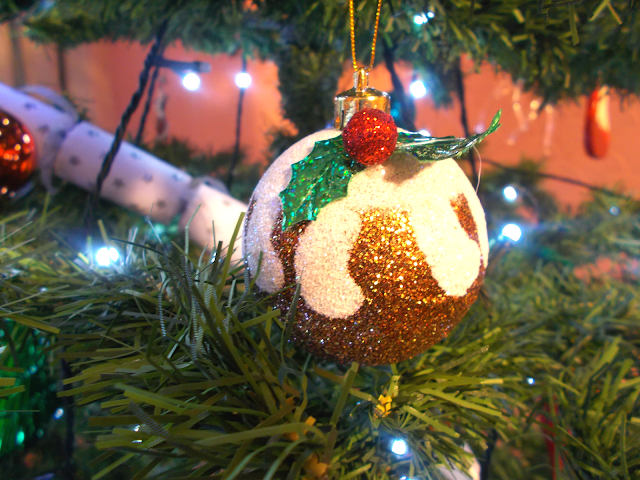 All of the 'plain' baubles went on first - bigger ones at the bottom & smaller ones at the top . . .
Then I strategically interspersed the more special ones throughout, taking special care to put my mum's favourite ones on the right hand side so they'll be in her eyeline when she sits in her spot on the sofa! 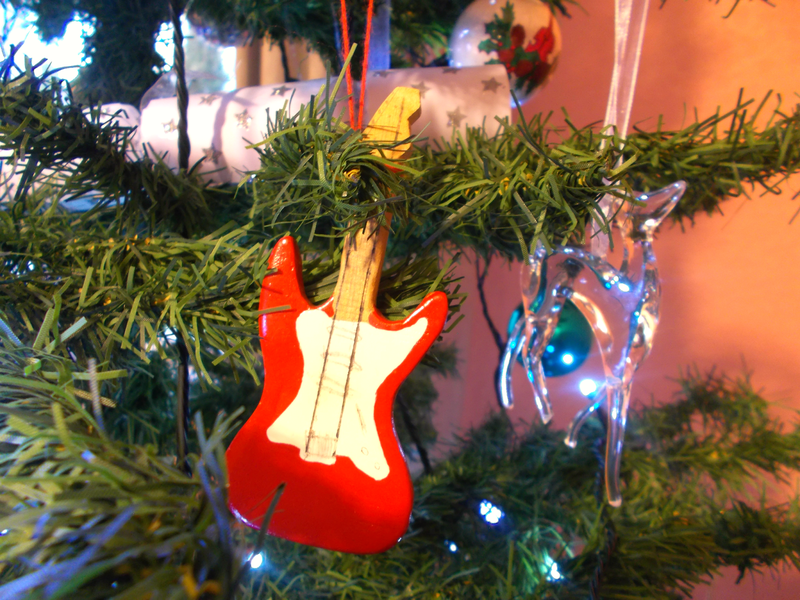 We also have quite a few ornaments which were handmade by members of our family, like the two little guitars (which aren't festive at all but we're a musical family) and our tree wouldn't be complete without them. Once almost everything is in place, my brother, sister & I each have something which is 'ours' to place wherever we want it and represent us in a way. My sister has a violin, my brother has a train and my one is this little rocking horse. 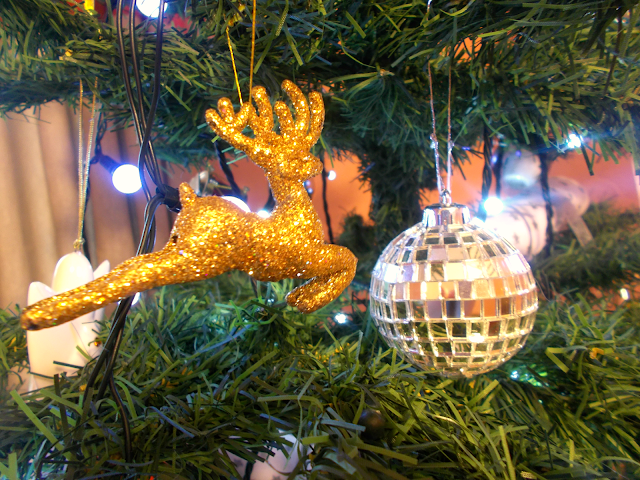 Again, I can't imagine having the Christmas tree without these, it just wouldn't be right! 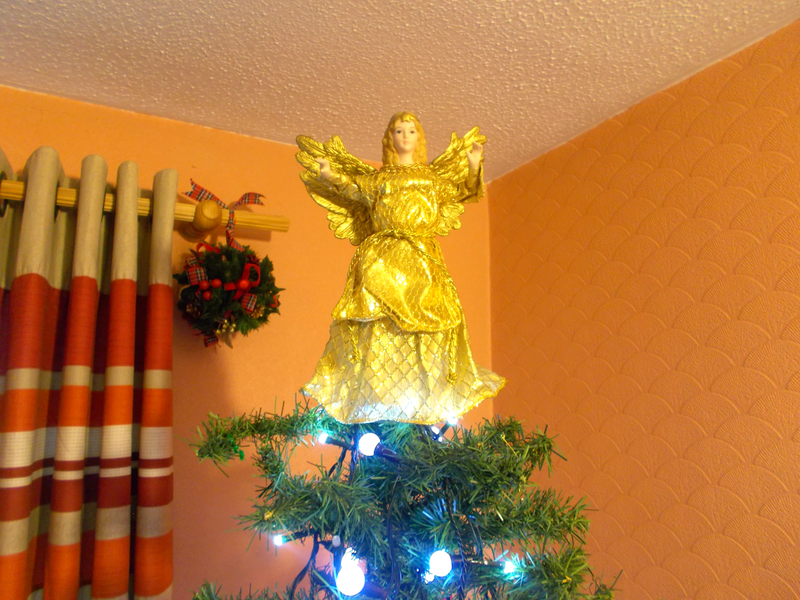 And last but not least, the angel on top! 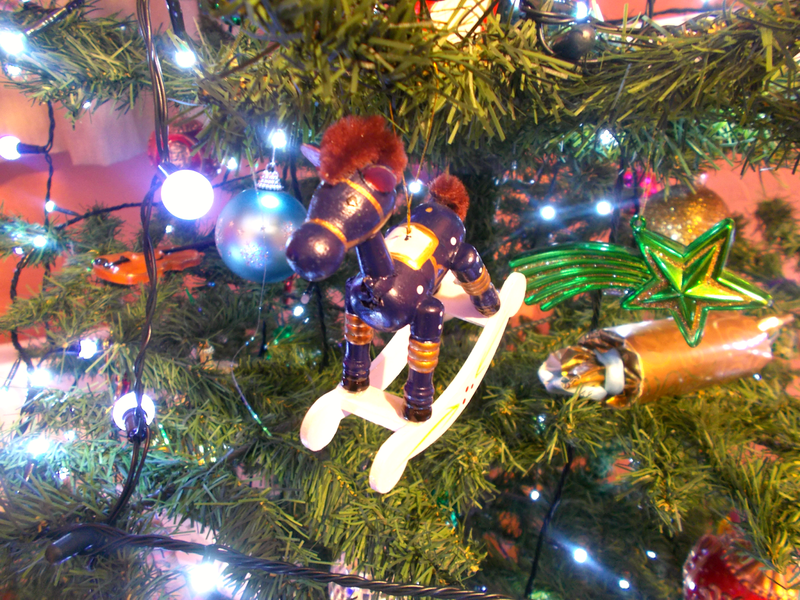 So there you have it, an insight into our Christmas tree and all the little traditions that go with it. Get involved in the comments below and let me know about yours! What makes your Christmas tree special?